Why choose a Board Certified Oral and Maxillofacial Surgeon? 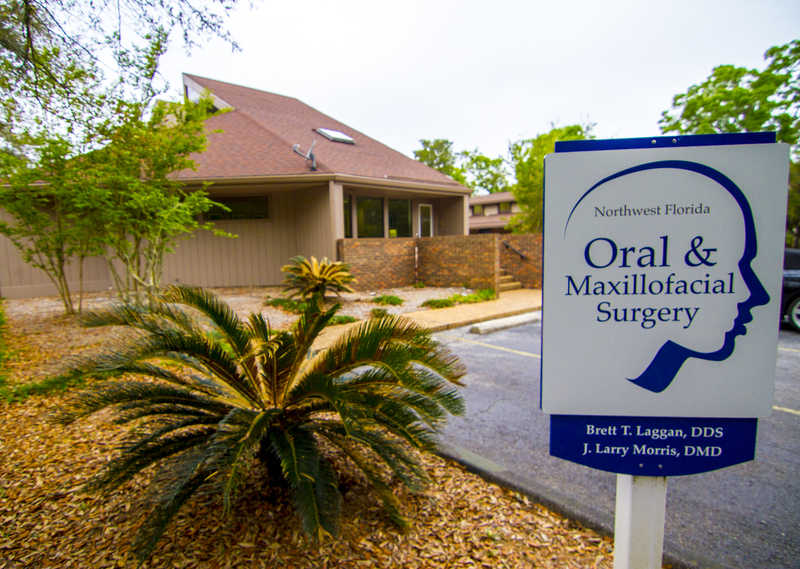 Dr. Morris and Dr. Laggan are Board Certified Oral and Maxillofacial Surgeons. What does board certification mean to you? It means you are receiving care from surgeons who have completed an intensive specialty training program, which includes four to six years of residency training. In order to become board certified, we provided evidence of our education, training, and experience in all aspects of oral and maxillofacial surgery. Letters of recommendation from other board certified oral and maxillofacial surgeons attesting to our exceptional ethical and moral standing were also required. Finally, we passed both a thorough written and an oral certifying examination. As oral and maxillofacial surgeons, we manage a wide variety of problems relating to the face, teeth and mouth regions. We practice the full scope of oral and maxillofacial surgery with expertise ranging from surgical placement of dental implants and complex facial reconstruction to corrective jaw surgery and wisdom teeth removal. We repair traumatic facial injuries and we also diagnose and treat facial pain and temporomandibular joint disorders. Dr. Laggan is also a member of the Cleft and Craniofacial Team at Sacred Heart. Can my evaluation and surgery be performed on the same day? You will be asked to see the doctor for a complete pre-surgical evaluation to review your health history, x-rays and perform an exam. Our surgeons feel safety is most important for you during your procedure and this may require more planning. Therefore, your evaluation and surgery are usually two separate visits. Where is my surgery going to be performed? We perform a wide variety of procedures in the surgical suite at our office. We are both on staff and operate at Baptist Hospital, Sacred Heart, and West Florida. These are all environments that provide optimum safety, utilizing modern monitoring equipment and staff that is experienced in anesthesia techniques. Your doctor will discuss the options with you during your evaluation based on your needs. What type of anesthesia will be used for my surgical procedures? The experienced surgeons at NWFOMS are trained, licensed and certified to provide a variety of anesthesia for your procedure including local anesthetic, nitrous oxide, or IV anesthesia. How long will I need time off of work/school? Your doctor will discuss with you the length of time needed for recovery. Some surgical procedures may require one day of recovery and others may require more planning for time off. Will I need a follow-up appointment after my surgery? Your doctor will tell you if a follow up appointment is necessary the day of your surgery and it can be made then or you can call us back to make an appointment convenient for your schedule. Can I get my prescriptions called in prior to surgery? We would be glad to call in the post-operative prescriptions for you the day of the surgery. This allows the pharmacy to have your prescriptions ready for you to pick up on the way home. My Dentist recommended Dental Implants and referred me to see you, Why? Dental implants have become the standard in teeth replacement because of their natural and physiologic qualities. There are a multitude of factors to consider in each individual case. Although the process is easy on the patient and highly successful, it requires great attention and detail from your dentist and surgeon for optimum results. While some dentists do surgically place implants, the vast majority concentrate on the prosthetic, or “tooth structure” portion of the procedure, because that is where their training and expertise is. Placing implants is a surgical procedure, and Oral and Maxillofacial surgeons are specially trained in surgery and can handle any possible complication. Mini-implants were initially designed to be used as a temporary option in conjuction with more traditional root-form implants. They can support temporary restorations during the healing phase of traditional implants, but we feel their properties are inferior to standard osseointegrated dental implants. We do not reccommend them as a permanent solution. You will be given a pre-treatment estimate the day of your evaluation, after you are seen by the doctor and your surgical plan is determined. The pre-treatment estimate will be discussed with you as well as your insurance benefits and coverage. Our skilled staff will help you maximize your insurance benefits and we’re always happy to file a claim to your primary insurance for our services covered by your insurance. What are my financial payment options? We offer a full range of no interest and extended payment plans through Care Credit. Many of our patients find Care Credit a convenient option because it offers a plan with a low monthly payment which fits comfortably into almost every budget. We also accept credit cards, cash and checks.